As a dad, software engineer, husband, and grad student, the amount of time I have to make my own adventures is sadly limited. I'm currently in my last class so I'm hoping the fall will bring more time both for this blog and for me to prep my own adventures. However, for the time being I've gotten great mileage out of pre-made scenarios. 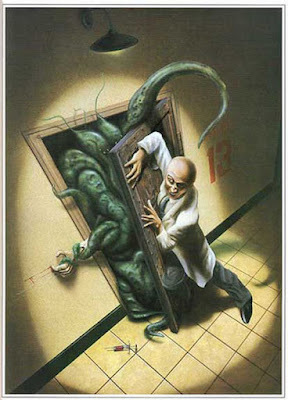 One nice thing about Call of Cthulhu is there are a lot of such scenario out there. I especially like that there are a lot of scenarios suitable for one or two sessions of play - I love long campaigns, but right now such a style isn't quite suitable for me. It is also nice that you can take an scenario written for the old editions of the game and use it with the newest ones without any difficulty.